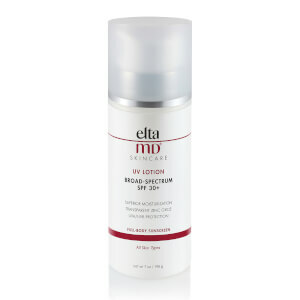 Elta MD UV Aero Broad-Spectrum SPF 45 is an oil-free, water-resistant, spray-on sunscreen that uses transparent zinc oxide to shield the skin from damage. It sprays on white, so you can see where to apply, then dries clear. The fast and convenient application method makes it ideal for the entire family. For those who want a convenient, spray-on, broad-spectrum sunscreen. Shake well before use. Apply liberally 15 minutes before sun exposure. Do not apply in windy conditions. Hold can (upright or inverted) 4 to 6 inches away from body and apply liberally, spraying slowly and evenly until product is visible on skin. Gently rub in. Do not spray into face. 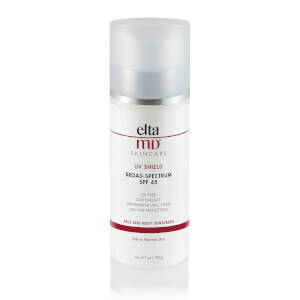 Spray into hand and apply to the face. Use in well-ventilated areas. 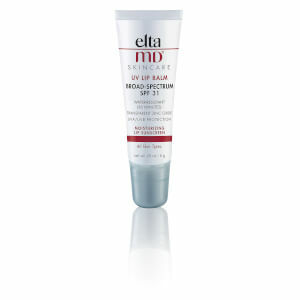 Re-apply after 80 minutes of swimming or sweating, after towel drying, or at least every 2 hours.